Speaking from personal experience, positive thinking can go a long way, but so can negative thinking. What was previously thought to be spiritual mambo jumbo is now being proven by science to be true. The law of attraction is real, and it can deliver amazing results. In one of his studies, two thousand people in Tokyo were asked to focus all of their positive intentions towards water samples placed inside an electromagnetically shielded room in Californa. Ice crystals were found formed in both sets of water (the control and the one in California), but only specific formations were present in the water that they focused on. Another experiment had portions of cooked rice placed into two containers. 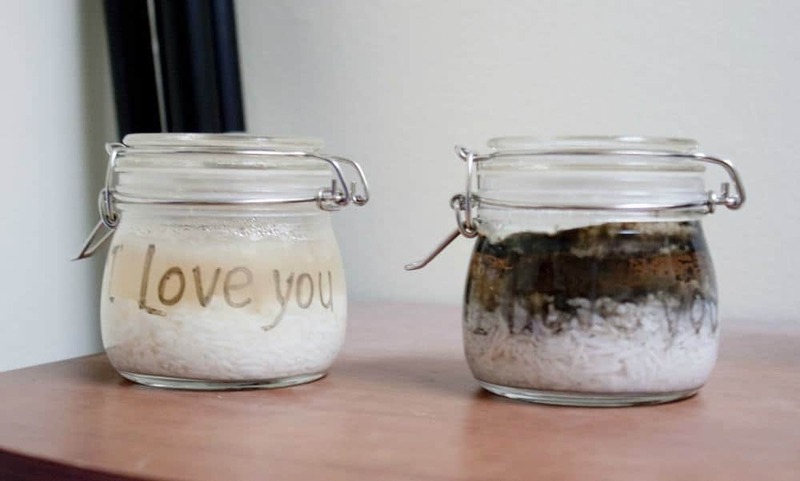 On one container, Dr. Emoto wrote ‘thank you’; on the other, he marked ‘you fool.’ He ten instructed school children to read the labels every day when they passed them. So, do you think your thoughts and intentions have an effect on your surroundings? I for one sure do. Upon reflection, everything I ever wanted or didn’t want, I had previously thought or felt with intense energy. That is the law of attraction at work. I am absolutely positive that the same thing is happening to you whether or not you realize it, so think about the kind of things you are putting into this world the next time something overly negative comes to mind.